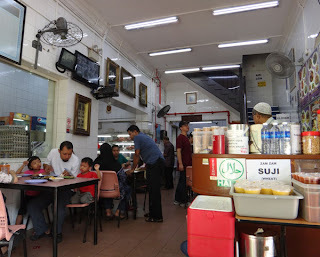 I first tried murtabak Zam Zam Singapore during my 6 mos stay in Singapore back in 1998, that time my host parent introduced me to this place. I have never come back to this place ever since, and when SK from Tree In Lodge recommended this place when we checked in at their hostel, we went there to have our brunch. We walked from Tree in Lodge about 10 minutes, to Zam Zam. 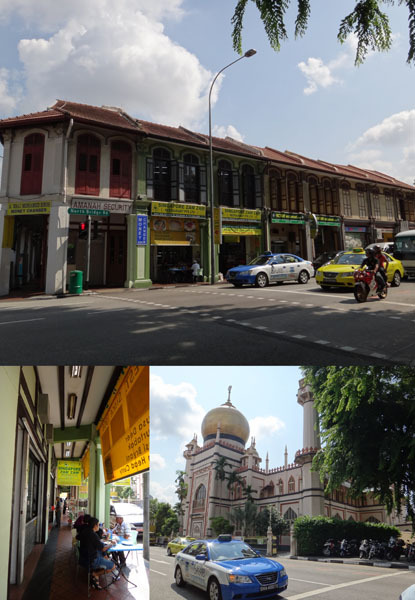 The resto located on the North Bridge Road just opposite the Sultan Mosque. It was about 10.30 am on Sunday, this place were very hectic, that we had to sit outside the resto. 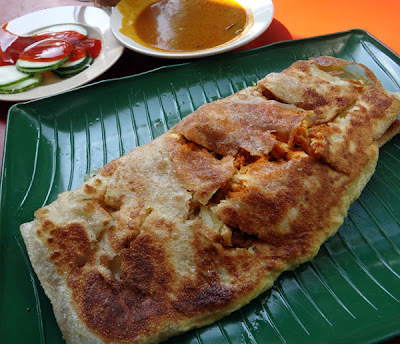 Murtabak is a stuffed pancake or pan-fried bread filled with either chicken, mutton or beef. In Zam Zam they also have deer murtabak! I ordered chicken murtabak, really yummy and huge! The famous dish from Zam Zam other than murtabak is their Briyani Rice. 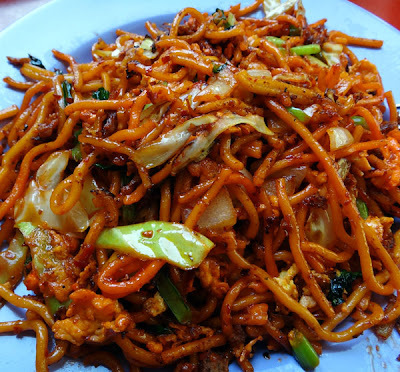 But as rene has ordered Briyani on the previous day (from a different resto), he ordered Mee Goreng (fried noodle), it was spicy too spicy for me but rene like it a lot, he said it was delicious. We also ordered teh tarik and a glass of ice coffee, and the f&b cost us around SGD 8 only!